The Power Pack Combo combines Lyman's Power Adapter with Lyman's popular Universal trimmer. 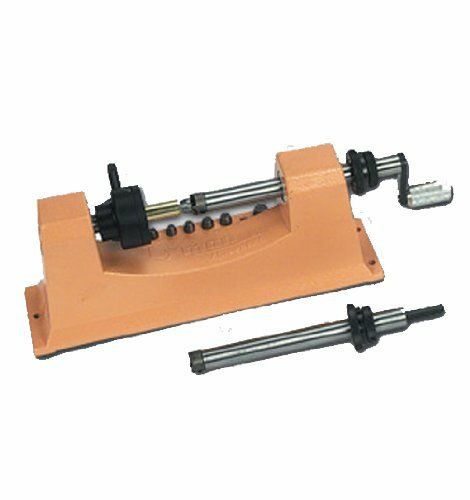 This allows quick and simple conversion from hand to power trimming. All you need is a standard electric hand drill or power screwdriver. Simply unscrew the cutter head from the standard shaft and slide it out of the trimmer. Then slip the power adapter shaft in its place, screw on the cutter head and attach your drill. You're ready to power trim over 250 cases an hour. The adapter shaft comes with its own cutter and stop collars so you can convert back and forth from power to hand operation without changing settings. The patented Lyman Universal Chuckhead system allows you to switch to any caliber from .17 up to .458. No collets required. This is a remarkable bargain. Includes 9 of the most popular pilots.